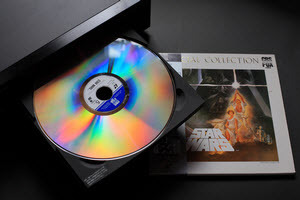 Why DVDS are Still Popular and Why we Need DVD Rippers? ✔ DVD like Blu-ray Disc Brings People the Best View Experience. ✔ DVD Collectors Are Willing to Pay for it. ✔ Some Specification Areas like Music, Fitness Favor it. ✔ DVD Rental Industry Is Still Alive in Some Areas. Sometimes we need watch DVD videos on other devices like mobile phone, tablets, PS4 or store them to hard drives. Or this is the choice for someone to collect the movies they favorite. So it is necessary to choose the proper DVD converters or rippers based on your actual requirements. Here we sort out some best DVD rippers or converters for reference to find the best one for yourself. As we all know that VLC Player has the feature on convert or streaming DVD to computer. If you have installed VLC Player on your computer, you can make full use of this player to help you enrich your media life. Verdict: VLC is a powerful in converting DVD as a media player. But it is also has limitations on the output formats and devices, fully recognition for protected DVDs. And the steps on converting DVD seem not that easy. Maybe you think that Any DVD Cloner Platinum is just a DVD cloner as its name implies, but actually it is a powerful combination of DVD cloner and DVD ripper. As a DVD ripper, it can rip any DVD to MP4, M4V, AVI, M2TS, HTML5 embedded video, and it is also easy to convert encrypted DVDs to videos supported by popular devices. As a DVD cloner, it provides 4 flexible copying modes to copy, including clone or compress DVD to DVD, DVD folder or ISO image with all protections decrypted and removed. Verdict: The most useful function for Any DVD Cloner Platinum is DVD ripping, which can rip encrypted DVD movies to frequently using formats, like MP4, AVI, MPEG etc to help you playback DVD movies on various mobile devices. At the same time, it is also the best DVD copy software. It helps us remove any DVD copy protection like CSS, RC, RCE, APS, UOPs, ARccOS, etc. And as a DVD Cloner, it can copy DVD movies to blank DVD disc, backup DVD movies to hard drive as DVD folder and ISO image files. The drawback is that the output formats for the latest devices like Samsung Galaxy S8, iPhone 7 are not added. Any Video Converter is designed with no limitations to let you effortlessly convert any DVD and video files to any format for FREE! 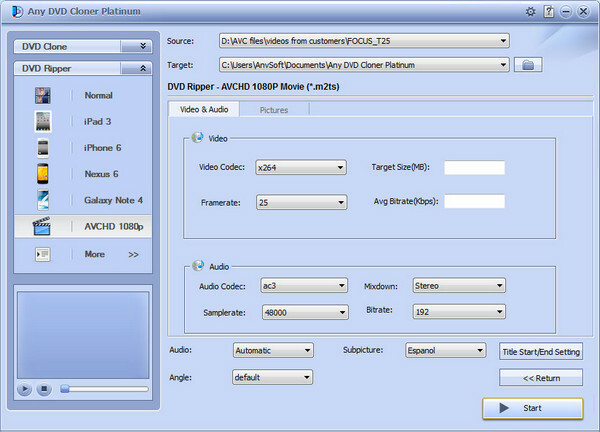 Moreover, it is a free video editor which enables you edit the videos you convert from DVDs. 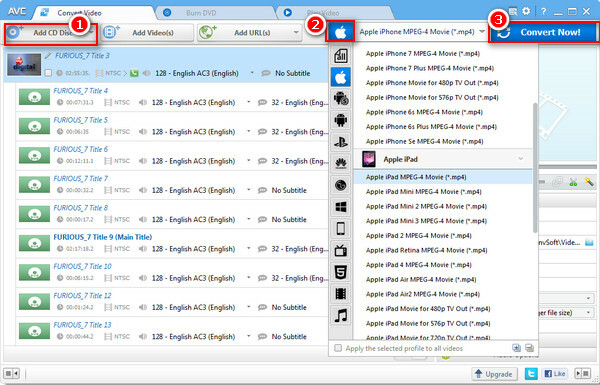 Output Formats: MP4, M4V, AVI, WMV, MOV, Webm, HTML5, WMA, MP3, etc. Verdict: Any Video Converter is a powerful free video converter with multi-functions, including DVD / video / audio converter, video / audio downloader, DVD burner, and video editor. It is very easy to use indeed. Put the DVD disc or DVD Folder to your computer DVD driver. Click Add Disc button, then a dialog will pop up, just press OK button, all DVD files will be loaded from your DVD to the program. Here you can choose the output formats your prefer. You also can set the parameters on the right panner including Basic Settings, Video Settings and Audio Settings. Step 3. Start ripping DVD movies. 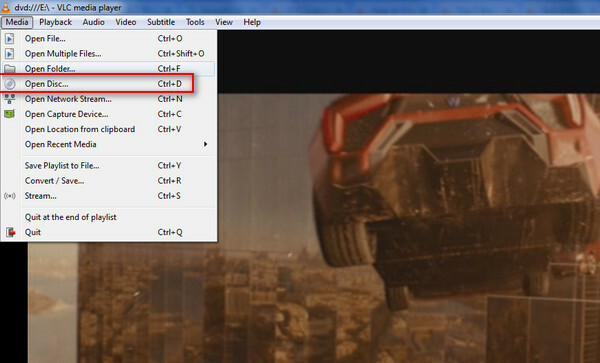 Now, click Convert Now button on the upper right corner of the program to start converting DVDs.